“Enterprises can’t afford to be slow,” says Amazon Web Services leader Andy Jassy at re:Invent. “Enterprises can’t afford to be slow,” Amazon Web Services leader Andy Jassy told this year's AWS re:Invent conference. “If you are not using public cloud in some significant fashion, you are at a competitive disadvantage,” Jassy said. Speaking at the Las Vegas conference, Jassy said the top drive moving to the cloud over time is agility. “Enterprises can’t afford to be slow,” he said, noting how in a lot of enterprises today, server requests would take six to 25 weeks. Staff may then hesitate to experiment on innovative ideas. He said enterprises should be willing to “experiment often and fail without risk”. If you have a global business that needs to serve a global base, you need to be able to deploy them globally, he says. Agility is having the ability to implement ideas quickly, he said. “To deploy quickly is a game changer." Related:Virtual desktop computing service: The next cloud disruptor? This has been shown by startups such as Airbnb, Spotify, Dropbox and Instagram that have disrupted what are considered “relatively stable” industries. 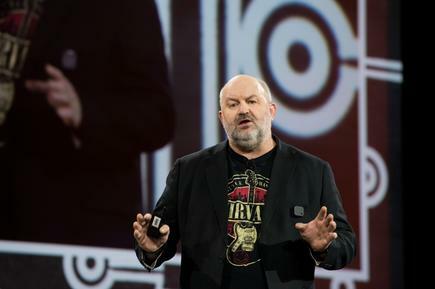 “Rapid delivery” is in Amazon's DNA, Amazon CTO Werner Vogels told the conference. That distinguishes AWS from the competition, the CTO said. 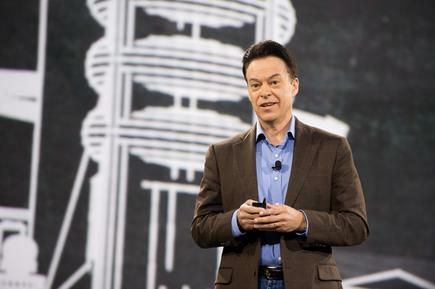 He credits the growth of Amazon to its strategy to “work backwards from the customer”. Whenever Amazon works on a feature or service, the first thing the project team does is write a press release, but this will not be released to the media. The press release will write in “very simple, clear terms” what they are going to do to deliver the product. The document will include 10 to 15 FAQs (frequently asked questions). All teams do this even before writing a single line of code he said. He also espouses the advantage of small teams, or what he calls “two pizza teams”. These teams are small enough so you do not have to hold meetings to understand what teams are doing, explained Vogels. The other goal of AWS is to get core functionality in the hands of customers as soon as possible. This is why a service will be launched first in two regions. Customers can use them and “we can start improving it” before it is launched across the world, he said. “We iterate based on customer feedback,” he added. Related: Amazon powers on into new markets: Constellation Research analyst Holger Mueller. Customers who delivered testimonials at the re:Invent stage ranged from finance company Suncorp, to global media company Dow Jones, and some successful startups. Suncorp has been moving its transaction systems to AWS and aims to complete migration of some 2000 applications in the next 18 months. “The windscreen is a lot bigger than the rear view mirror” at Suncorp, said CEO Jeff Smith. He said the team talked about what can be done and made a “bold and brilliant decision” to move everything to the cloud, to back themselves and overcome obstacles. “We constantly understate what is our capability to solve problems,” Smith said. The biggest constraint is thought, never constraint of time or money. He says Suncorp also held a ‘Fedex day’ where employees were asked to work on whatever they want on condition these can be done in 24 hours and there will be a working software at the end of the day. He says 450 people in 10 locations in four countries used Amazon technology to produce “phenomenal solutions” in the course of the day. Dow Jones reaches 700 million people everyday through its stable of brands, which includes The Wall Street Journal. Stephen Orban, global CTO of the publishing and financial information company, said the company is planning to move 75 percent migration from internal facilities to AWS over the next three years. “While we produce the world’s best journalism and content we don’t have the best digital platform for distributing that content,” he said. One of the reasons was the amount of time and effort they spent on managing infrastructure. For a company concerned in getting journalism out, he said, this was a distraction from their core mission. He says the company is planning to migrate 3000 apps to AWS by January 2015, and expects to contribute to global savings in $100 million in infrastructure costs. Baillie, a co-founder of the company said he realised the films he liked growing up, like ET and Terminator, were an overlap of movies and technology. He worked with Lucas Film before creating Atomic Fiction, which has worked on visual effects for a range of productions including Boardwalk Empire and Star Trek. He says there are no physical limits or constraints on computing on AWS, and this helps ensure there are also no limits for the team’s creativity. Amazon Web Services leader Andy Jassy describes the cloud company as “seven years young”. “We have hundreds of thousands of customers from successful startups like DropBox and Spotify, to large enterprises like Dow Jones and GE, and around 600 public sector agencies,” Jassy said. AWS customers are evenly split into one-thirds each of startups, medium sized organisations, and large corporations. The cloud services provider has “regions” or groups of data centres, in Sydney, the east and west coasts of the US, Ireland, Japan, Singapore, and Brazil. AWS has a region dedicated to the US federal government. He noted the company has made it to the top in Gartner’s Magic Quadrant for Cloud Infrastructure-as-a-Service. Gartner called AWS the “overwhelming market share leader, with more than five times the compute capacity in use” than the aggregative total of the 14 other providers in the quadrant. “It is a thought leader; it is extraordinarily innovative, exceptionally agile and very responsive to the market. It has the richest IaaS product portfolio, and is constantly expanding its service offerings and reducing its prices. It has by far the largest pool of capacity, which makes its service one of the few suitable for batch computing, especially for workloads that require short- term provisioning of hundreds of servers at a time,” reads the Gartner report by analysts Lydia Leong, Douglas Toombs, Bob Gill, Gregor Petri and Tiny Haynes. “AWS is going to be a primary engine for growth for Fronde for the next four years,” Ian Clarke, CEO of Fronde, an advanced consulting partner of AWS, and an early adopter of the cloud services, told re:Invent. Fronde is included in the annual TIN100, an analysis of the top 200 New Zealand-founded high-tech companies. Amazon has such a broad offering of up to 35 building blocks of component services which cover every aspect of enterprise IT, noted James Valentine, Fronde CTO. When AWS opened its Sydney region that was when a whole lot more people stood up and took notice that “this is a global player, this is something that is coming to my neighbourhood”. Divina Paredes attended re:Invent 2013 in Las Vegas as a guest of Amazon Web Services.